A hat says a lot about what kind of person your kid is. A baseball cap says that your child runs with pack and doesn't like to stand out too much. A bowler says that your child is one of the few kids around who knows what a haberdashery is. A toaster? Well a toaster says what the heck is your kid doing wearing a toaster for a hat. Us? 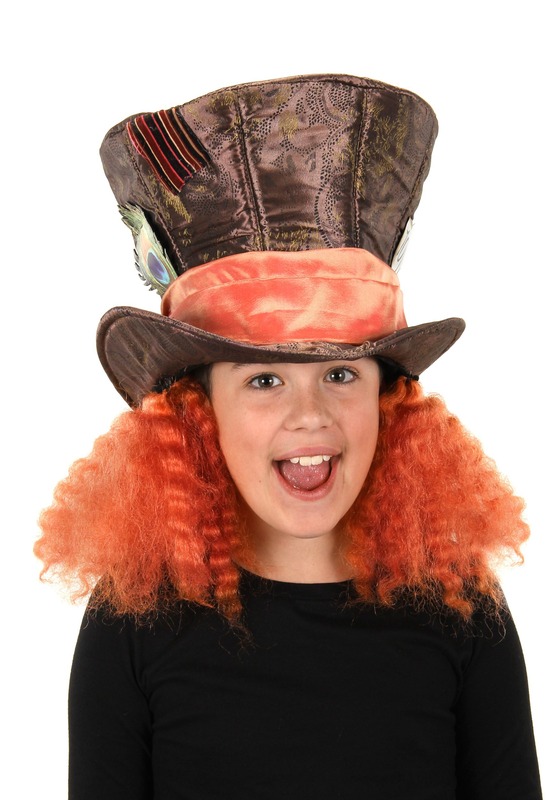 We think your child should wear this Mad Hatter Hat, based on the Alice in Wonderland character. This licensed Mad Hatter Hat recreates the style worn by Johnny Depp during the 2016 film, Through the Looking Glass. It makes for a great cranial accessory for any kid who's a little bit wacky or a lot of bit crazy! It goes great with the matching costume for tea parties, unbirthday parties, impromptu croquet matches with flamingos and other fancy affairs that require a touch of whimsy. Standard Head Size Up to 23" Up to 23"